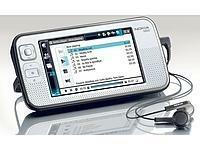 ▷ LG N800 update. Speedcam for your maps. Download update. Free custom download. 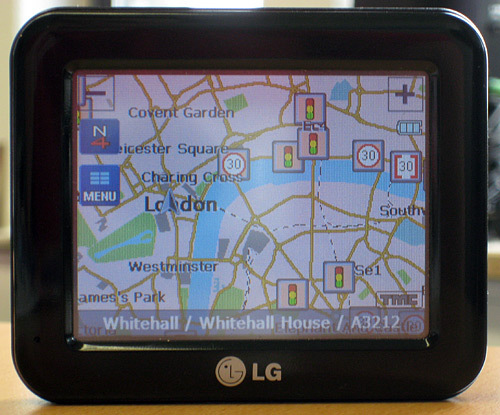 In order to update your GPS device: LG N800 with the latest update, follow next instructions. First of all, be sure you got the update file for your LG N800 device, downloaded from SpeedcamUpdates.com. Once files have been extracted, switch on your LG N800 device. Connect your LG N800 device using an USB cable to a PC. Your PC will detect the new device as an external storage drive. 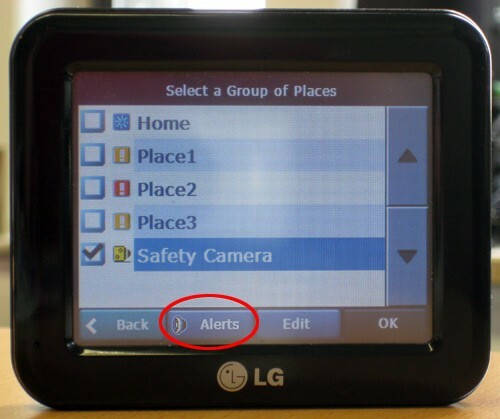 Open the folder "./LGE/LGENavi/UserData/Favorites" in your LG N800 device and delete all files containing "Safety Camera" in the file name. 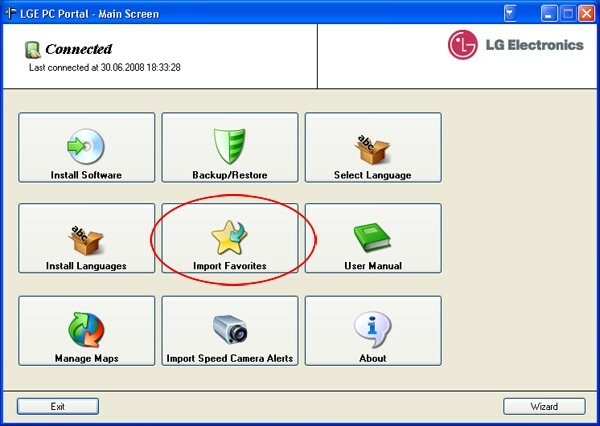 Click Import for transfering all files into your LG N800 device. Then you can exit from LGE PC Portal. Copy all unzipped *.bmp files before, to your LG N800 device, in the folder "./LGE/LGENavi/UserData/Favorites". Unplug USB cable and reboot your LG N800 device. 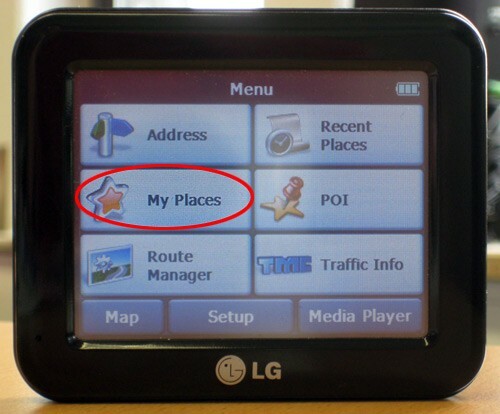 Once device booted go to "My Places" in the main menu of your LG N800 device and activate Safety Camera. 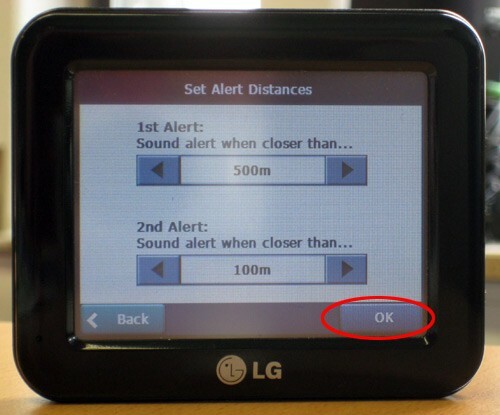 Set also the distances when system warn you on nearing to the speedcam.